This introduction deals with the origins of the telegram, telephone and wireless in Western Australia, and how at first this technology was employed for communication purposes. The transition from horse and cart to automobile paralleled the introduction of electricity and early telecommunications services. Our growth as a nation depended on both. The government also put in place the wireless regulations and initiated the early services, designed first to communicate with shipping. Then once voice transmission became possible it opened up the vista of so many other applications. In Western Australia before the advent of television in 1959, the history of our state was recorded by the newspapers, books, government documents, written correspondence and historians, with the only imagery coming at first from early drawings, paintings, etchings and photographs, before the advent of motion picture technology. Before television could be realised, wireless technology had to evolve, and paralleling these developments were many changes in the lifestyle of the times. 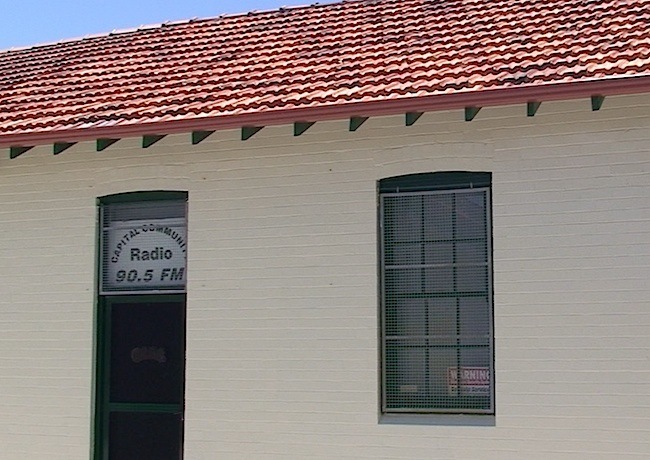 2012 will be the centenary of wireless transmissions in Western Australia, commemorating the first transmitter installation at the former Applecross Wireless Station, then known as Perth Radio, which first began service on 30th September 1912. This was for communications purposes, and it was another 12 years before wireless was used for public entertainment broadcasts, with the launch of 6WF on Wednesday 4 June 1924. Earlier transmissions were made by experimenters who were to form the amateur radio community, an important group from which many wireless industry pioneers were drawn. Wireless communications have conveyed important messages throughout the two world wars and everything since, including the space race. The form has undergone change over time, with satellites making a big impact, as has fibre optic cables, FM and digital. Modern communications has helped shrink the world, with information travelling at the speed of light. Wireless has also been put into general use to provide news, sport, music, drama, comedy, documentaries and the many styles of amusement, to brighten up our day and provide company to the lonely. Society as a whole has sped up with rapid developments that have taken us out of the dark ages, from candle light to incandescent, fluorescent and light emitting diodes. Illumination was also used to project moving pictures, which now travel through the air and over the internet. Everything is faster now, with automobiles, trains and aeroplanes. All manner of electrical based inventions have altered our life too. Generations now have benefitted from these advances, but keeping the memory alive and valuing it is another thing. The now obsolete items of yesteryear are often left to the veterans and enthusiasts to ponder and play with. Only the pioneers who grew up with and operated the early technology give much thought to it. When their passion dies out, so too will the motivation for it to be remembered. 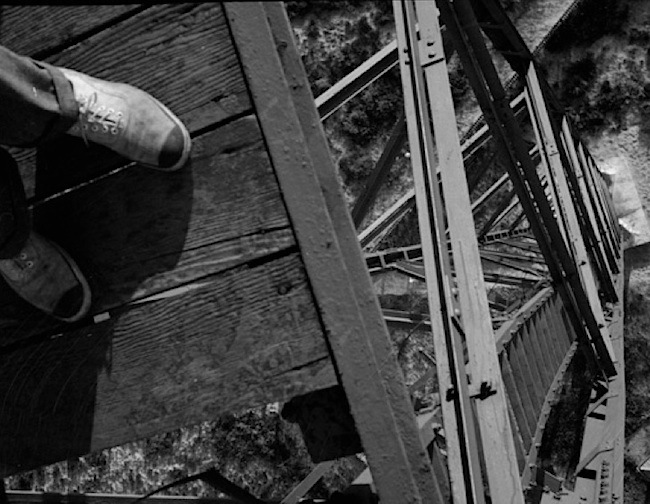 Nostalgia generally relates to a fondness for things in our immediate past, and not what our ancestors lived with. Yet knowing how we arrived to where we are now can increase our appreciation of what our forefather did to give us the life we presently enjoy. It would be a very different life if we all had to entertain ourselves, singing around a piano, with no iTunes, CD music, radio, television, cinema or the internet. We can learn whats happening on the other side of the planet in an instant, imagine if we still had to wait three months for a sailing ship to deliver news and mail. Our history is rich with developments and events associated with wireless related technology and the joy it has given us. The vast spans of Western Australia and its isolation was a great challenge until roads, rail and communications infrastructure was built. The roads boards and councils played a big roll in providing the necessary municipal services to enable the State to expand. But it was the advent of electricity and all the inventions which evolved technologically, that helped greatly in reducing the perception of isolation. Telegraphy was an early system for transmitting messages long distances over a wire, which was one step removed from smoke signals, and the semaphore where arms, flags or poles were positioned according to an alphabetic code. 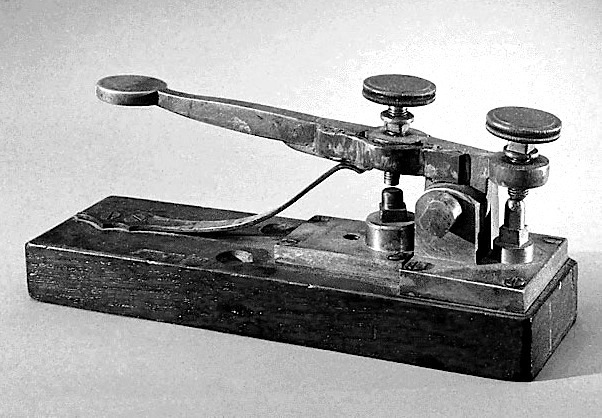 Samuel Morse and his team came up with the notion of rapid long distance messaging following his receiving news of his wife’s ill health, after her death. This gave Morse the drive to develop and commercialise the telegraph between 1837 and 1844, though the first electrical telegram was not sent in Western Australia until 1869. Morse code became an efficient method of coding messages as a series of on-off tones, lights, or clicks that were understood by a skilled operator. 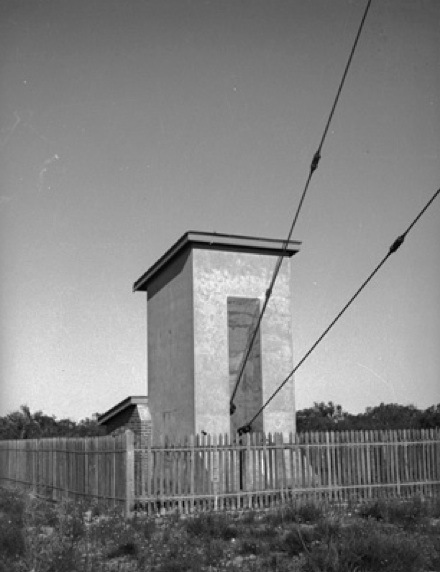 In 1877, the Perth-Adelaide telegraph line opened, which considerably improved intracontinental communication. At this time all messages crossing colonial borders were transcribed onto paper by an operator of one State, then handed over a table to the operator of the other State, to be then retransmitted across the border. Until Federation in 1901, Western Australian operators used one variety of morse code, whilst the South Australians used another. The exchange of messages took place at the lonely outpost of Eucla, built 20 kilometres inside the Western Australian border. 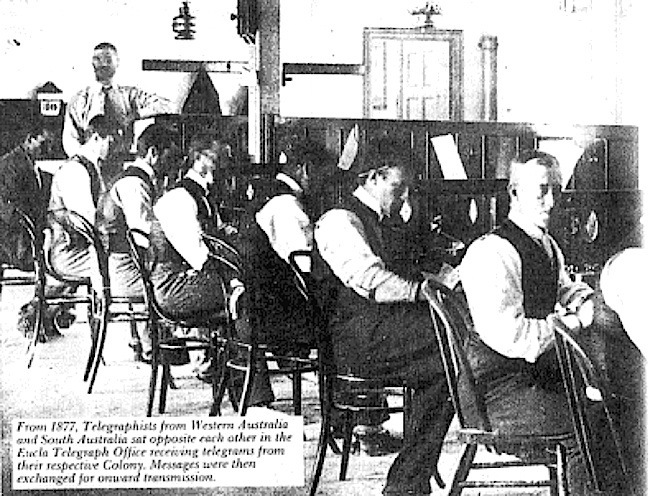 The station was staffed equally by Western Australian and South Australian telegraphists with each team sitting on opposite sides of a long table, that extended north and south, the full length of the room. 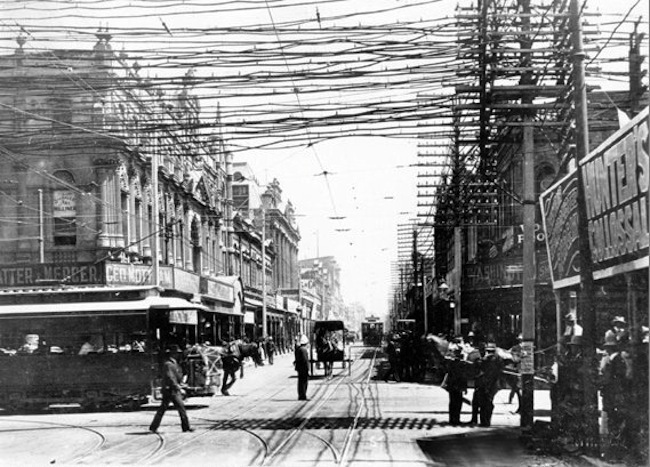 In 1887, the Perth telephone exchange opens with a service introduced between Perth and Fremantle. 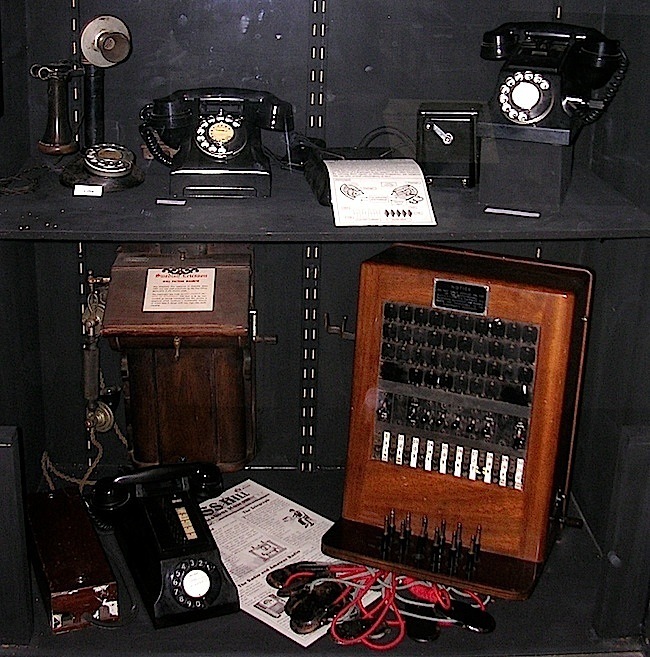 Early telephones had one wire for both transmitting and receiving of audio, with ground return as used in telegraphs. In 1888, the German physicist, Heinrich Hertz, conducts the first demonstration of the transmitting and receiving waves of energy through the air. 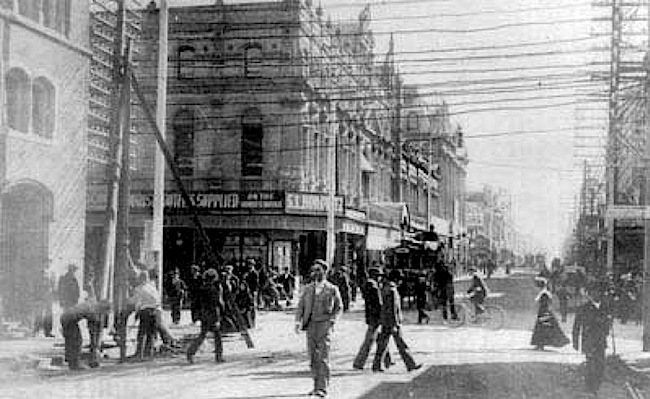 In 1888, electricity was introduced to Western Australia in a limited fashion by the Western Australian Electric Light and Power Company, using a small plant with a 40 horsepower portable engine and 15 kilo watt dynamo installed at the company premises next to where the current Criterion Hotel in located, in what was Howick Street (now Hay Street) Perth. The Perth Town Hall became the first building to receive a permanent electricity supply in Western Australia on 4 December 1891. In 1892, the first electric street light was erected by the WA Electric Light and Power Company. The original Criterion Hotel was also one of the first establishments in the city to adopt to the electric light system, being lit up by electricity for the first time on Saturday night April 30, 1892. Not to be confused with the existing art deco Criterion Hotel, that was built in 1937 for the Swan Brewery Company Ltd., in an architectural style that became popular throughout Australia after the Depression, when building activity increased significantly from about 1936. In Perth, the Adelphi and Bohemia Hotels in the central city and the Raffles, Highway and Scarborough Hotels in the suburbs all featured the art deco style. The Criterion site was originally The John Bull Inn (1854), dating back to the early settlement days. 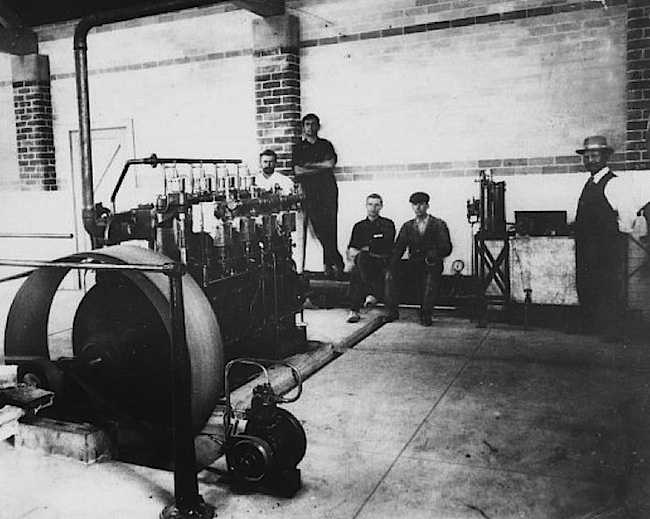 In 1894, The Perth Gas Company began operating the state’s first significant power station from Wellington Street, supplying 110 volts direct current to the Perth Town Hall, Wesley Church and Wigg & Son. In 1896, Guglielmo Marconi conducts the first demonstration of wireless telegraphy from the Post Office in London, using Morse Telegraphy. By 1901, when the six Australian States decided to federate, there were 32,767 telephones in use. Each of the States had, until then, built up its own telephone services. But Federation brought all telecommunications under the control of the newly formed Commonwealth Government’s Postmaster-General (PMG), a federal Minister overseeing the Postmaster-General’s Department that took over all domestic telephone, telegraph and postal services. 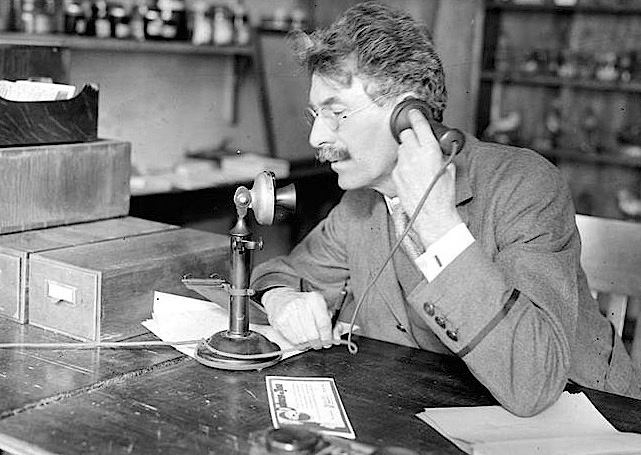 In 1905 the Federal Government of Australia introduced the Wireless Telegraphy Act giving the Government complete control over wireless activity and the Postmaster General the exclusive right to transmit and receive messages by wireless and to issue wireless licences. 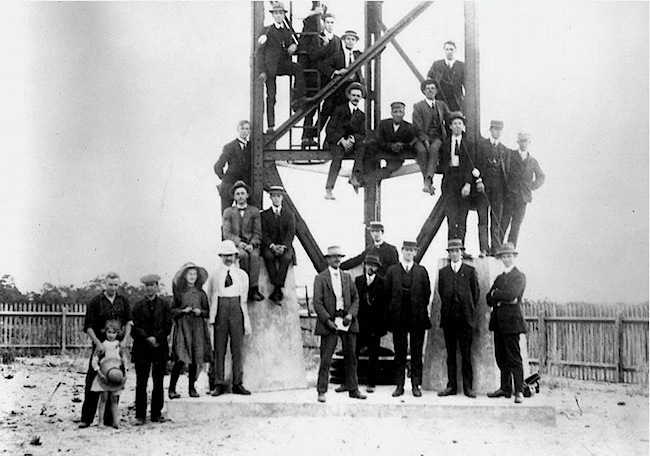 On 12 July 1906, representatives of Marconi’s Wireless Telegraph Company staged a demonstration of the new medium of wireless telegraphy across Bass Strait, between Point Lonsdale in Victoria and Devonport in Tasmania, a decade after the Italian inventor Guglielmo Marconi (1874-1937) was granted a patent for ‘wireless telegraphy’. 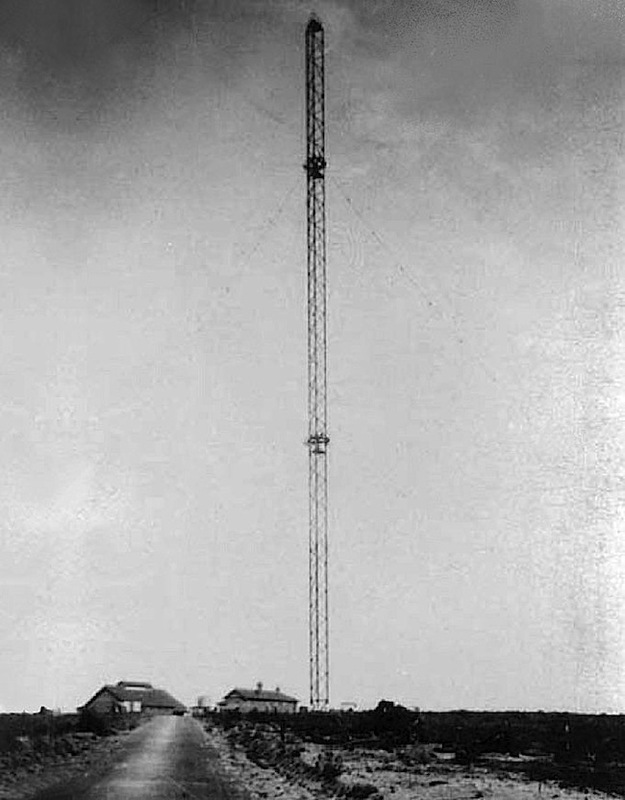 Though this helped to sell the idea of wireless, it failed to sell either the Marconi system or shares in Marconi’s companies, when the Australian Government insisted there must be an open tender for any wireless stations it decided to establish. Australia eventually purchased a national wireless network from Marconi’s competitor, Telefunken. Marconi almost monopolised the industry worldwide with companies in Europe, the USA (later to be renamed the Radio Corporation of America – RCA – in 1919). In Australia Marconi and its main competitor Telefunken amalgamated to form Amalgamated Wireless (Australasia) Ltd. (AWA) in 1913. In 1907, the first inter-capital telephone trunk line was opened between Sydney and Melbourne. It was followed by a line between Melbourne and Adelaide in 1914. Sydney and Brisbane were linked in 1923, and Perth and Adelaide in 1930. In 1909, Telefunken established Australasian Wireless Limited to market the new technology of wireless. Telefunken is a German company that was founded in Berlin in 1903 as Gesellschaft für drahtlose Telegraphie System Telefunken (“The Company for Wireless Telegraphy Ltd.”) which soon began building broadcast transmitters and radio sets. In 1909 the Federal Government, through the Postmaster General’s Department, tendered for the construction of two wireless stations, one to be in Perth and the other in Sydney. In 1910, Wireless equipment starts to become more common on ships, when the first vessels equipped with wireless arrived in Australasian waters, generating a need for coastal radio Stations in Australia for wireless-equipped ships to communicate with. There was excitement among a growing number of radio enthusiasts to experiment and learn more. So much so that groups were forming to share information and experiences. With wireless they could interact with likeminded people who were further afield. The Wireless Institute of New South Wales was formed in 1910, followed by the Amateur Wireless Society of Victoria in 1911. In September 1911 the Australian Federal Government had completed negotiations for the purchase of the Applecross transmitter site from Bewick Moreing & Company and clearing of the site and construction of the station commenced. Foundations, earthworks, roads and buildings were constructed for the Commonwealth authorities by the Public Works Department of Western Australia under the direction of Hillson Beasley. The complex comprised a group of four cottages (three residences and single mens’ quarters) at the north end of the site and three operations buildings at the south end of the site on the crest of a ridge. This included the Operators’ House, Engine House, one small brick and tiled roof toilet at the north-east end of the site, a buggy shed and stables, a windmill and well, and circulating water tanks near the Engine Room. A 1.5 metre open picket fence was erected around Engine and Operators’ houses and the site was encircled by a 1.8 metre barbed wire fence. The supply and installation of plant was undertaken by the Australian Wireless Company. Powered by a 60hp Gardiner engine driving a 50 cycle alternator, the original wireless equipment consisted of a crystal receiver using local galena ore and a 25kw quenched-spark long-wave transmitter. Galena is the primary ore of lead which exhibits semiconductor properties and was used in early wireless communication systems. For example, it was used as the crystal in crystal radio sets, as a point-contact diode to detect the radio signals. 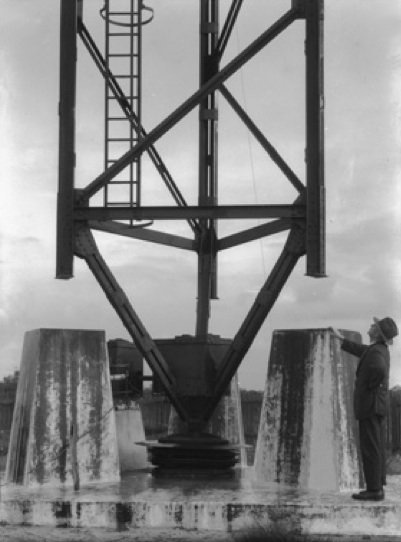 The transmitter was connected to a guyed aerial mast 120 metres in height, with three concrete anchor blocks, each approximately 4.6 m high, built to hold mast guy wires. The equipment was provided by the German company, Telefunken. 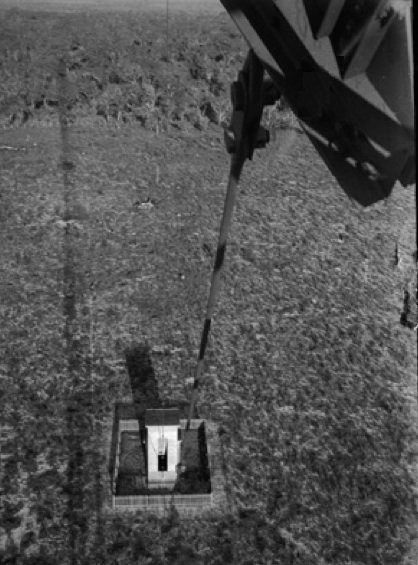 Concrete beds for the mast and guy anchorages were constructed by the Public Works Department. 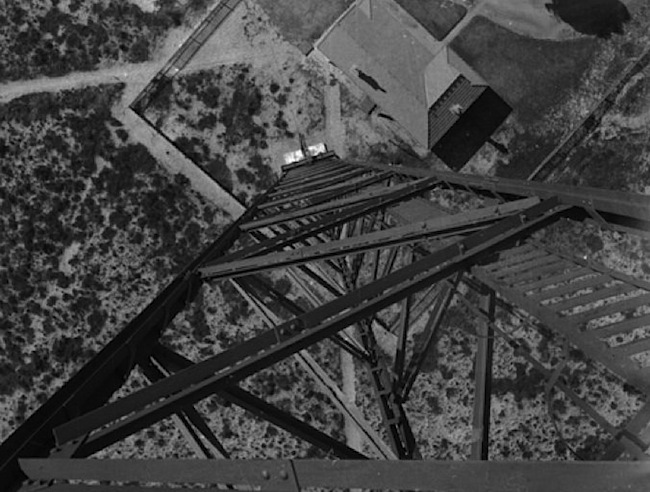 Acrophobia sufferers need not apply for the job of mast maintenance, as the last thing the gent standing on top of this tower would need is to experience a panic attack in high places. Only two remnants survive of this installation. One is a fragment of the mast insulator and the other is a coil former. Photos such as these is all that’s left to remember the original equipment by. 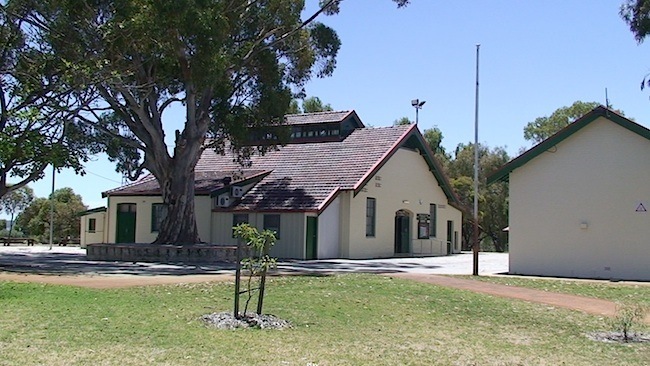 On 30th September 1912, the Applecross station opened as Perth Radio with the callsign POP for Post Office Perth (later changed to VIP). From 1912 the callsign prefix letter V was used in many Commonwealth countries as a commemoration of the death of Queen Victoria (1819-1901). Australia was allocated the prefix group VH to VK. Following an international wireless convention, which allocated prefixes on a world wide basis, the PO callsigns were changed to VI, giving Perth Radio it’s VIP. The sinking of the Titanic in 1912 showed the usefulness of the new technology when the ship sent distress signals over the air. It didn’t prevent the deaths of 1,517 passengers unfortunately. The primary mode of communication was morse telegraphy and primary frequency used at Applecross was 500khz. 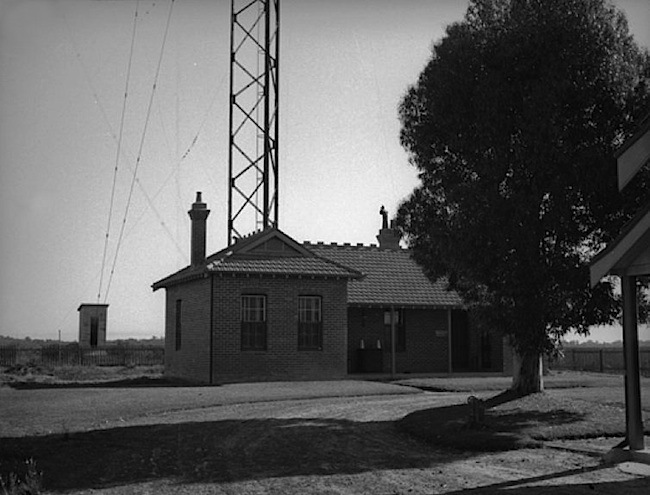 From 1912, the Applecross Wireless Station was used continuously until 1967, where the facilities enabled wireless communication to be carried out for the very first time between the east and west coasts of Australia, between the mainland of Australia and shipping up to 1,600km into the Indian and Southern Oceans, and between Australia and the rest of the world. After the First World War and into the 1920s a major re-equipment programme was conducted. 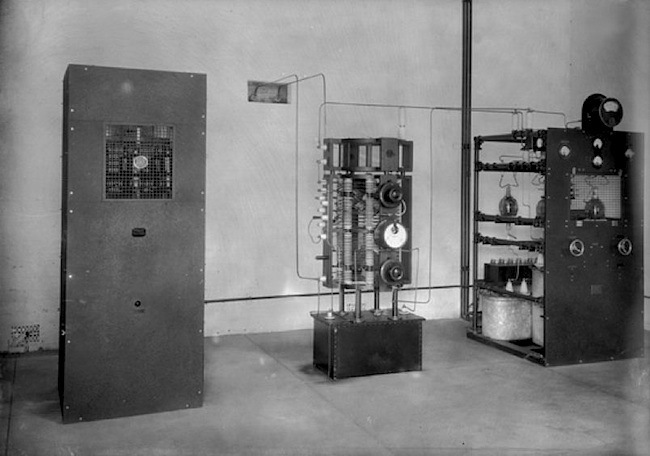 The original spark gap transmitters and crystal detectors were replaced by modern electronic valve equipment. Short-Wave (high frequency) was introduced as well as two-way radiotelephone which increased ranges considerably. In 1913, Amalgamated Wireless of Australasia Limited is formed with the merger of Australasian Wireless Limited and Marconi Company. In 1913, construction commenced on WA’s first major power station, the East Perth Power Station, and it initially generated 12 Mega Watts. In 1914, during World War I, the Royal Australian Navy took control of all Australian coast radio stations and all wireless telegraphy in Australia and install a 60 kw Poulsen arc transmitter and valve operated receivers at Applecross. The First World War marked the peak of the telegraph era with cabled military orders triggering mass mobilisation across Europe. During both world wars the telegram was used to tell family members if their husbands or sons had died or were missing in action. The arrival of the telegram messenger was greeted with dread. 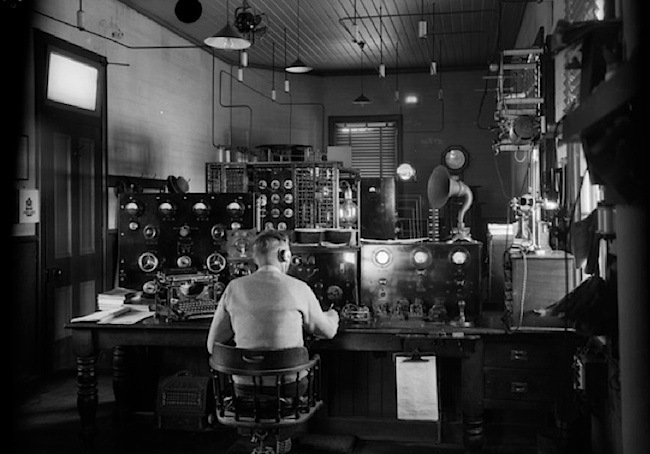 In 1920, after the war, control of Perth Radio reverts back to the Postmaster General but in 1922 control of the station was transferred to Amalgamated Wireless of Australasia Limited (AWA), who were formerly the Australasian Wireless Limited. AWA installs valve transmitters. Radio and TV veteran Ian Stimson kindly provided much of the commercial radio history information. Additional radio content courtesy of George Chapman, who in 1970, was General Manager of 6PM and the CBS Network, then the inaugural Managing Director of 96FM (1980-1984), amongst many other roles including General Manager of TCN Channel 9 and Station Manager of 2UW Sydney. I was a school boy at Applecross Senior High school when the mast was still there, somewhere between 1959 and 1965. I remeber the day the mast was removed by cutting guy wires. I was in class and did not see it unfortunatly. CH7 did a film news story, as I viewed it on the news that night. An electric globe that was at the top survived the crash to ground. Wonder if the film is still in the CH7 archives…?